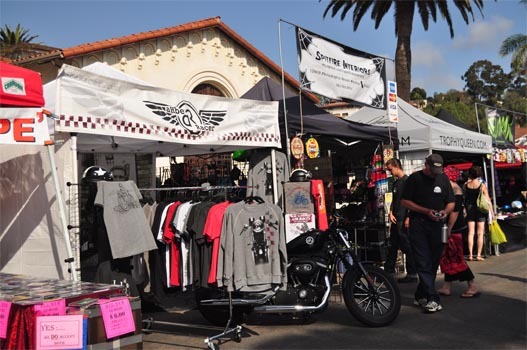 It is our goal to maintain the integrity of Fiesta de Kustom Kulture by limiting the number of vendors and types of merchandise to Kustom Kulture related items only. • NO Swap Meet type vendors. • Sorry, No Food Vendors. If you have any questions regarding acceptable merchandise, please feel free to contact events@motorcult.com or call 619.299.1369. Event Producer reserves all rights to limit types of vendors and/or merchandise. Vendor acceptance is solely at Event Producers discretion. Processed payment indicates approval of application. • Vintage apparel, accessories, helmets, etc. • Hot Rod/Art/Kustom Kulture/Custom & handmade apparel, jewelery, accessories, etc.